Wi-Fi free breakfast and satellite TV with HBO make our guests' stays comfortable at the non-smoking wallet-friendly Super 8 in San Francisco's Marina District just two miles from Fisherman's Wharf. 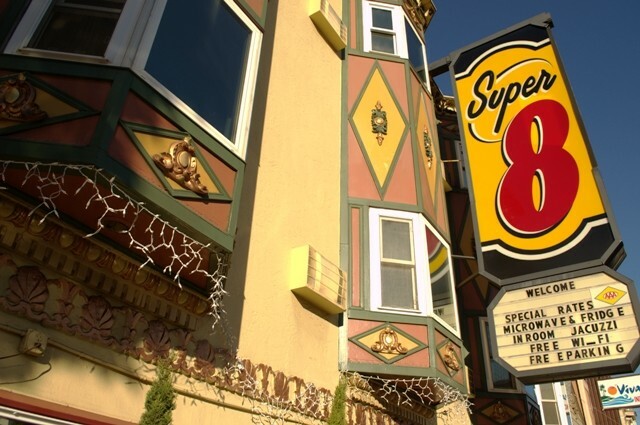 Super 8 San Francisco Fisherman's Wharf has 32 non-smoking rooms occupying three floors. All rooms have microwaves refrigerators flat-panel satellite TVs with HBO and DVD players and Wi-Fi. Some rooms also have hot tubs. Begin your day with the hotel's free Super Start breakfast and weather permitting enjoy the outside sun deck sitting area before picking up your tickets for the San Francisco City Tour arranged by helpful staff at the front desk. The hotel offers limited parking on a first-come first-served basis. Super 8 San Francisco Fisherman's Wharf is six blocks from the Exploratorium and the Palace of Fine Arts. Take nearby public transit to San Francisco's financial district Chinatown Union Square and Fisherman's Wharf. 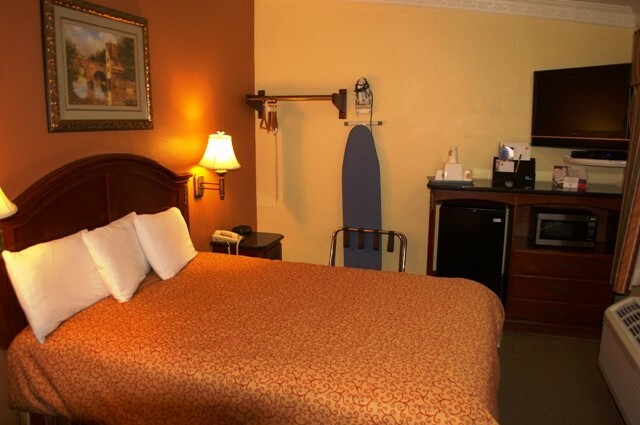 The hotel is three miles from the Golden Gate Bridge and 16 miles from San Francisco International Airport. Join our guests who have found convenient perks in a convenient location at prices that conveniently won't blow their budgets.